Paw prints set in clay are tangible symbols of the love people feel for their pets. For two decades ClayPaws®, the original paw print kit, has helped “capture the love”. 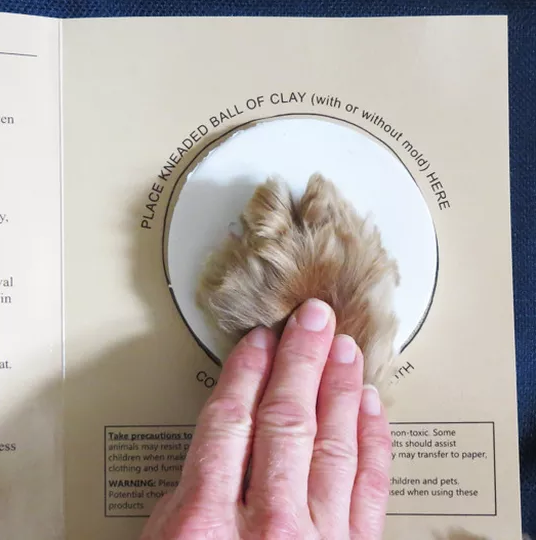 ClayPaws® Kits are a convenient way to make lasting keepsakes of pets’ paws, hooves, or claws. ClayPaws® prints welcome new patients to your clinic or memorialize pets who have died. Also available, Capture the Love Gift Kits, the retail version of ClayPaws® Kits, can be sold directly to pet parents. Capture the Love Gift Kits come with everything pet parents need to make impressions of their pet’s paws. Thousands of veterinary teams and animal care businesses, like pet crematories, use ClayPaws Kits. What’s Special About ClayPaws Kits? 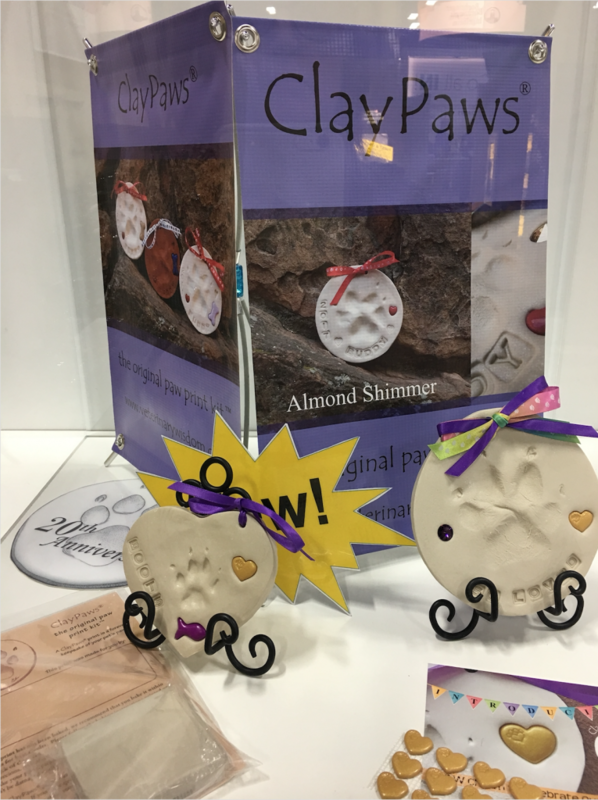 ClayPaws Kits are made from a specially-formulated modeling compound that is only available from World by the Tail, Inc. During their 20 years in business, they’ve worked closely with a vendor to create clays that hold their shape and are easy to soften and knead. They offer four choices of our proprietary formula—Original White, Soft White,Terra Cotta, or Almond Shimmer. ClayPaws prints will not crack or deteriorate over time. Some other modeling compounds can crack and crumble as time goes by. If you are going to make the effort and go to the expense of making paw prints, be sure they are keepsakes that last! Find out more about ClayPaws and how to order, here.